Across Canada movers and cross-border moving to the United States. Across Canada Movers and Cross-border moving is our specialty. With regular moving trips from Toronto to Montreal and Ottawa. Monthly trips from/to Toronto to Thunder Bay, Winnipeg, Regina, Calgary, and Edmonton Vancouver are an option. Direct moving to Halifax. As well as destinations in the US such as New York, Boston, Philadelphia, Chicago, Miami and beyond. Our moving company is dedicated to provide professional and reliable moving services. All of our friendly teams strive to always be punctual, neat, and courteous. Our service is timely and cost-effective. We always work with your schedule and budget. We can take care of the entire long distance moving process, from packing, disassembly, and loading, to moving, storage, and reassembly. You can enjoy our Flat Rate Moving Prices. We also do Car Shipping and Motorcycle Shipping, Packing Services, Specialty Moving services. Feel free to get the best quote from MVL Across Canada movers. MVL Movers carries all the necessary, sturdy materials to keep your belongings safe and secure throughout the move. Our team is working 24 hours a day, 7 days a week, including holidays, to make your move as quick and smooth as possible. Our movers and drivers are professionals with years of experience under their belts. They can advise you on the entire moving process to help ease the burden of your long distance and GTA local move. 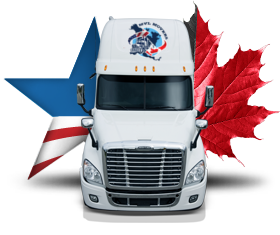 MVL drivers are knowledgeable of all the major roads across Canada and the US, and our movers specialize in both long distance moving, GTA local movers, and specialty moving item. These specialty moving include large and delicate items such as pianos, safes, artwork, antiques, aquariums, gyms, and appliances. MVL can also store your belongings in our modern, climate-controlled, secure, and easily-accessible storage facilities. When the time comes, we’ll deliver them to your new destination, in the same condition as you left them with us. Whether short term or long term, you can rest assured that your items are in reliable hands. Moving from/to the US such as New York, Boston, Philadelphia, Chicago, Miami and beyond. Get in touch to receive a free moving quote today.